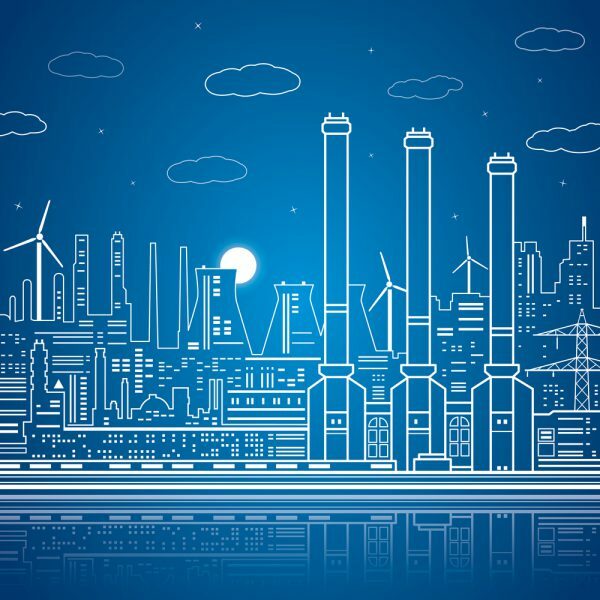 As the Industrial Internet of Things (IIoT) takes hold across multiple industries, buzz around edge computing is growing in parallel as operators evolve to push more and more computing power to the edge of their networks, where IIoT functions really live. The data being generated, however, is now becoming more and more critically important, requiring new levels of protection. We spoke to Jason Andersen, VP of business line management at Stratus Technologies, a provider of availability solutions for edge computing, IIoT and critical infrastructure. Jason offers his insights on the evolution of data criticality and protection as well as unified edge infrastructure as a future platform of the next generation of edge processing. BN: Edge computing is a hot topic with many organizations beginning to realize its benefits, but what exactly is it? JA: We look at the edge a little differently than other companies do. Stratus' almost 40-year history of protecting applications and data as they run in different places in production environments makes our focus on the edge all about the data. Therefore, I'd define it as technology infrastructure located on or near production operations for data collection, analysis and storage. But it's also important to distinguish edge computing from data center computing. At the edge, mission-critical operations may have little to no available local IT support, meaning locally the ability to maintain the unique connectivity and security requirements may be limited. BN: In your experience working with clients across industries, how have you seen IIoT and the importance of data evolve? JA: Uninterrupted production and driving new cost efficiencies will always be priorities for driving value with IIoT. More and more, however, I've seen enterprises evolve to adopt hybrid clouds to more efficiently distribute workloads for mission-critical functions, real-time processing and more. As automation increases, data is what will make the IIoT a long-term business imperative and what will create the next great competitive differentiator for industrial operators. As usage increases, the criticality of data will also increase and therefore must be protected. Another shift I've seen is related to the evolution of IoT devices themselves, which are becoming less expensive and more powerful and producing a lot more data. This is changing how technology is managed, leading to the emergence of a new role I like to call 'hybrid OT' -- operators who will have to be more technically proficient at bridging the gap between the two worlds of information technology (IT) and operational technology (OT) to really drive value with IIoT. BN: You've mentioned the importance of protecting critical data in IIoT. What are the top techniques for doing so? JA: Protecting important data must involve ensuring the health of reliable infrastructure, predictive serviceability, performance applications and secure connectivity. Protecting hardware is only one small element of this and I believe there is a great need for a unified edge infrastructure that evolves existing products and service capabilities. Something that combines both the unified stack of IIoT applications and hardware with a further consolidated IT infrastructure, as well as a comprehensive predictive service model will be key. I believe this will be the future platform of next generation edge processing and will massively simplify edge solutions to reduce costs and minimize the burden on IT. It will enable OT to lead the IIoT transformation and eliminate production downtime. BN: Protecting data is of great importance, but how key are next-generation analytics and artificial intelligence technologies going to be in the next 3-5 years? JA: In order for industrial companies to be successful with data analytics, operators need to realize that the data being produced is the most precious asset of their IIoT efforts. However, current analytics capabilities and products are only the tip of a very large iceberg. Looking forward, next-generation analytics and artificial intelligence (AI) technologies will play a major role in providing real-time decision-making at the point of production. With AI, we can better leverage data to drive insights that allow operations to run autonomously and help businesses compete more effectively in today's economy.